You missed a great sermon this morning. Everything okay? With just those few words, you let that person know that you care. Your words are a subtle encouragement to worship regularly. But during Isabella Alden’s time, there were no electronic text messages or emails. Daily mail service was the fastest way for people to communicate, until the telephone came into wide use around the turn of the century. In Isabella’s day, the scene described above would have played out using posted mail instead of wireless technology. 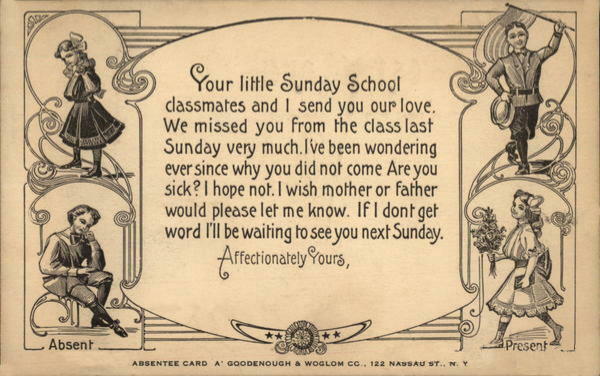 Back then, caring church leaders and Sunday school teachers sent out brief notes and post cards like the ones here. 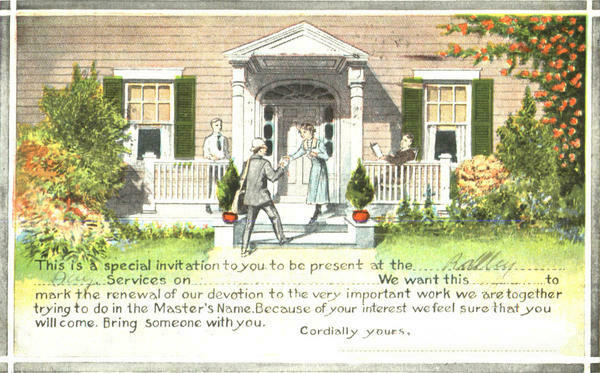 Some were signed by the sender, and others were personalized with the time and place for the next service or meeting. 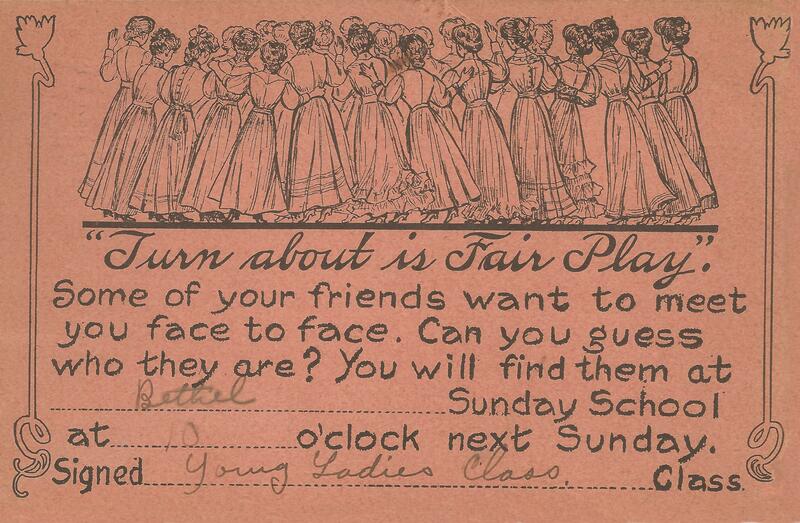 On Monday afternoons, the “come to church” cards appeared in mail boxes across the country. As a minister’s wife, Isabella probably sent quite a few cards herself over the years, to let someone know he or she was missed at church. 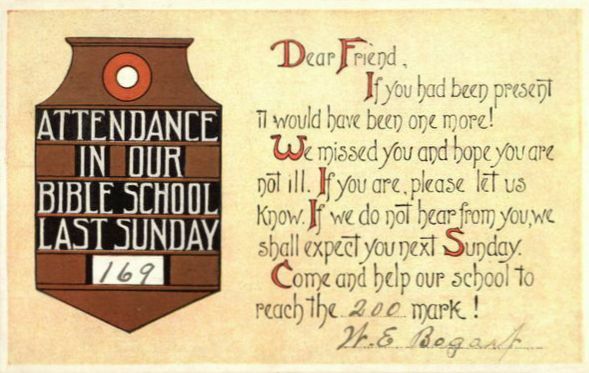 Churches still use similar communications to reach out to people today. 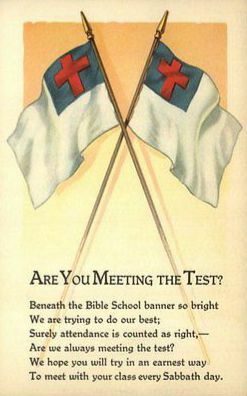 A website called Ministry Greetings is one of many that offers different styles of cards for churches to send through the mail. 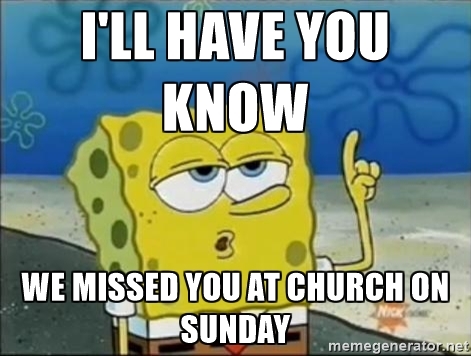 And for those who prefer to text or email, there are plenty of fun or thought-provoking memes to choose from for encouraging a friend to go to church. 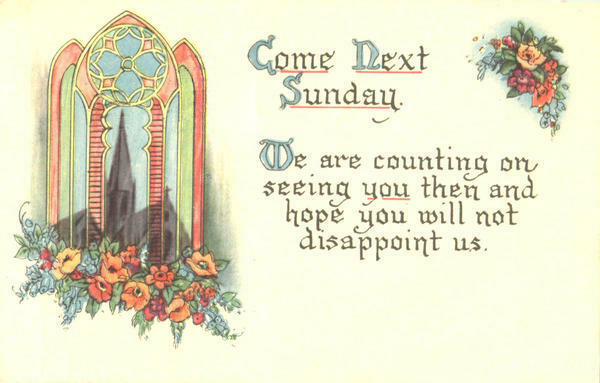 Over ninety years after Isabella’s duties as a minister’s wife came to an end, it’s nice to see a tradition like sending off “come to church” cards still goes on in today’s busy world. ← Rest Rooms: What a Great Idea!